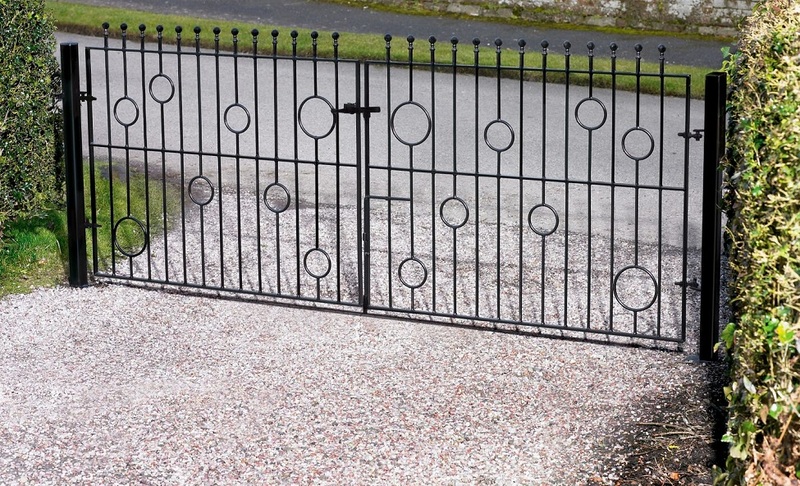 Individually styled metal driveway gates. Create a designer look to the main entrance. Well suited to a variety of modern homes the Picasso metal driveway gates create a truly individual look thanks to the addition of circular metal detailing coupled with timeless ball top finials. Picasso metal gates feature modern design elements to create a contemporary look. 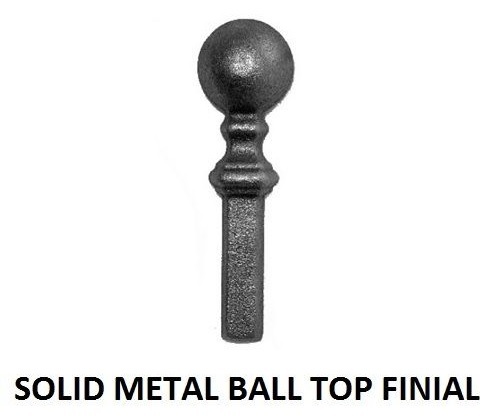 Ball top finials provide a subtle finishing detail. Manufactured in the UK from quality components. Built with 20mm x 8mm metal frames, 10mm infill bars and 10mm x 3mm circles. Gates are supplied with adjustable hinges, latch and drop bolt. Picasso double metal gates have a black primer finish ready for painting prior to installation. 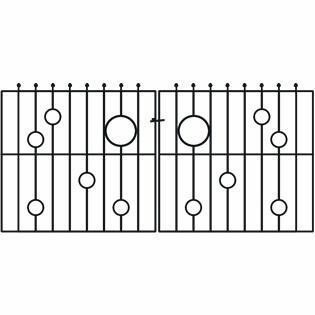 Confused about driveway gate ordering sizes? 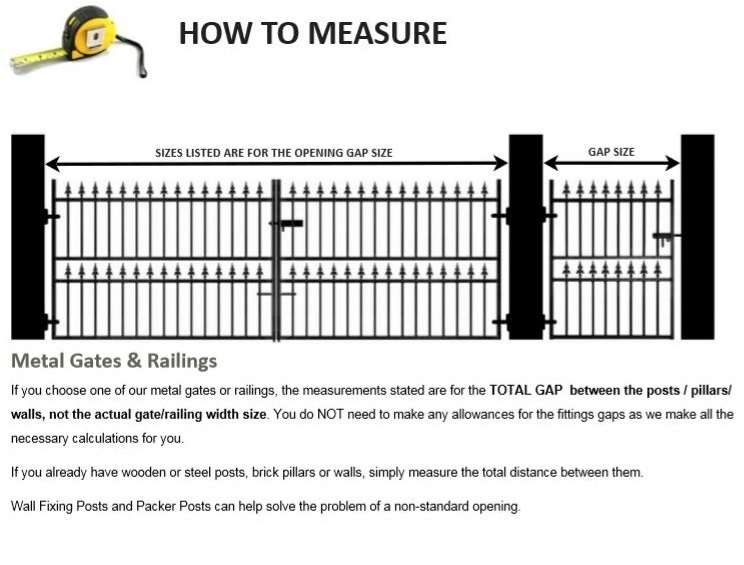 Have a look at the gate measuring guide, read information on how to select the right size or call us now to speak to us in person. If you need to order metal posts to complete your gate installation or would prefer to have them supplied with a rust resistant zinc plated (electro galvanised) and powder coated paint finish please get in touch with us today to find out the additional costs.